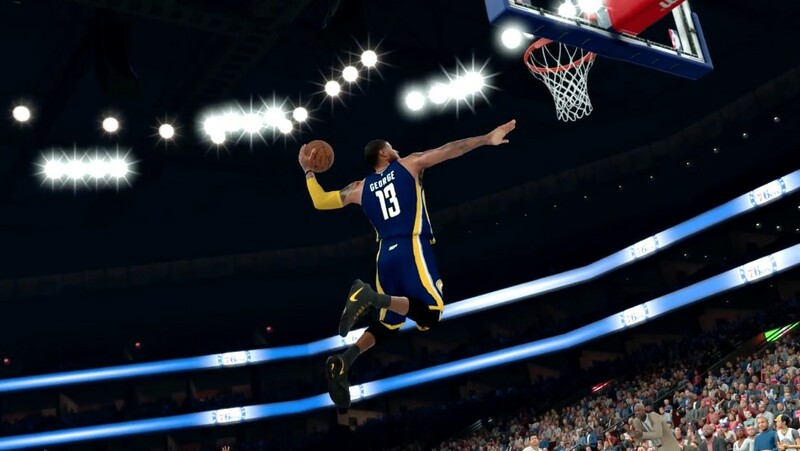 After 2K Sports released the newest patch 1.06 update which focuses on remedies to Pro-Am issue, many gamers are eager to know whether the bugs have been fixed. The Patch 1.06 has been released on PS4, Xbox One and PC, weighing a hefty 7.4 GB on PS4, 2.6 GB on Xbox One and 139.5 MB on PC. This new patch have released assortments of highly requested bug fixes, and there is no doubt that some smaller issues remaining unaddressed. The patch notes we list show that this update fixes a serious-sounding issue where pass icons did not show up for people playing in 4K on a PS4 Pro. The patch also addresses dribbling animation problems, including one where the wrong dribble move would queue up when attempting a driving move such as a double crossover. Additionally, this patch changes the CPU intelligence so that it can get into offensive sets and run plays faster. What's more, it fixes a problem where players could achieve "unrealistic speed bursts" when performing a combo move or a size-up escape. The patch also makes a number of tweaks to the MyGM/MyLeague modes, as well as MyPark. So, if you have the problem we mentioned here, download and use the patch now.